Moray Council is weighing up the consequences of raising council tax by more than the 3% allowed by the Scottish Government. The local authority was forced to abandon plans to increase the rates by 18% last year after it emerged the benefits would be “wiped out by penalties”. 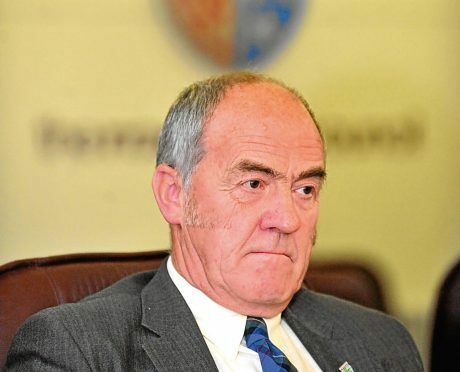 Now senior councillors are calculating whether breaking through Holyrood’s cap will be a benefit or hindrance to the accounts as they face bankruptcy in 2019. Moray Council leader George Alexander declared the settlement as “not as bad as expected” but was eager to see what more could be done. Cosla, the convention of Scottish local authorities, is writing to the Scottish Government to find out what consequences there will be for councils going above a 3% rise. Yesterday’s announcement resulted in Moray Council’s revenue funding dropping by £3.08million from last year’s settlement, a difference of about 2%. A 3% rise in council tax would generate an extra £1.2million for the local authority. Last night, Moray’s SNP MSP Richard Lochhead hoped the Scottish Government’s proposal would allow the council to step away from “draconian” measures included in its own financial proposals, which is aiming to save more than £6million. Mr Alexander has vowed to press ahead with the plans, but revealed it could “soften the blow” for next year.